The new year is here, and for many people, that means getting more exercise. Perhaps you joined a gym, bought new running shoes, or got a jump rope for a Christmas gift. But what if you don’t have the proper gym equipment to burn more calories and the gym environment intimidates you? 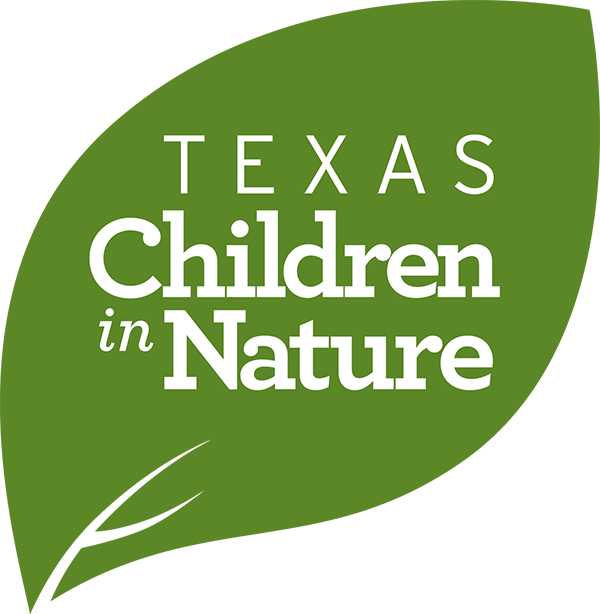 Fear not, Texas Children in Nature is here to provide you with an easy, low-hassle way to help you reach your New Years’ resolutions. Below is a list of hiking trails across Texas, some easy and some difficult, that are certain to keep your heart and lungs pumping. McKinney Falls State Park - Listen to Onion Creek flowing over limestone ledges and splashing into pools. Follow trails winding through the Hill Country woods. Explore the remains of an early Texas homestead and a very old rock shelter. All of this lies within Austin’s city limits at McKinney Falls State Park - what are you waiting for? These beginner-level trails are mostly flat, making it an ideal walk for anyone, novice or experienced! River Place Nature Trail - Surrounded by greenery and tall trees, this trail will take you to a different world; a world that is shaded and cooler (great for the hot, summer months). After climbing many stairs, your heart rate will soar, and you’ll reach high levels of elevation that you wouldn’t find anywhere else in Austin. The trail is extremely clear and is impossible to get lost on. Make sure you stop at the creeks and waterfall to cool off. This trail offers a challenge that will put your energetic teenager to the test! Caprock Canyon - This stretch of nature is six miles long and features a challenging 720-foot elevation gain along the way. The hiking paradise is situated in a rural area that isn’t near any large towns, and arguably the most spectacular section is just southeast of Amarillo, where the steepest cliffs and the narrowest transition from high to low are located. Trails within the canyon are anywhere from 1-15 miles long, offering opportunities for anyone! Palo Duro Canyon - The canyon stretches 120 miles long and is adorned with dramatic geological features, including multicolored layers of rock and steep mesa walls similar to those in the Grand Canyon. Being the second-largest canyon in the United States, Palo Duro is flooded with walking trails. Some hiking trails are 10+ miles while others are just over a mile. Goose Island State Park - Take a road trip out to Rockport, Texas to explore this state park between St. Charles Bay and Aransas Bay. You can stay on the mainland or head out to the island extension, but both sections of this state park are ideal for wildlife observation and photography, especially since the terrain is flat and easy to navigate. One attraction you won’t want to miss is the Big Tree. It’s one of the largest live oak trees not just in Texas, but in the United States and was named the Champion Coastal Live Oak in 1966. Oso Bay Wetlands Nature Trail - Find yourself among the most beautiful flora and fauna in south Texas by going for a walk through a unique ecosystem. Part of the Oso Bay Wetlands Preserve & Learning Center, take a stroll through the 162-acre nature sanctuary with over two miles of dog-friendly trails. Take a quick break during your walk at one of the many wildlife viewing outlooks and gain a better understanding of the importance of preserving the wetlands. Whether your start or end your day with a nature walk, this trail is open from sunrise to sunset. George Bush Walking and Biking Trail – This unique 11.4-mile-long trail is all asphalt and concrete and does not require you to cross major roads because it goes under the roads for an uninterrupted hike or ride. Surprisingly most of this trail is away from neighborhoods even though you are smack in the middle of the suburbs – great place to get some birding done! This trail is safe, family-friendly, and perfect for anyone interested in the outdoors – novice or expert! Mason Creek Walking and Bike Trail – Another trail in Houston, although this one much shorter than the George Bush Trail, is better for the kids. The 76.5 Acre park presently has 2.35 miles of paved trail open to both foot and bike traffic. It is bordered by neighborhoods on all sides, but plentiful parking allows commuters to enjoy its amenities as well. The County is considering the possibility of future picnic and playground areas in the park. The fact that the trail ties to nearby Katy Park, where an abundance of picnic areas and restroom facilities exist, may slow the need for such construction in the Mason Creek Park natural setting. Eagle Mountain Trails - The trails at Eagle Mountain Park are some of the best you will find in North Texas. These trails aren’t made for biking, but are instead for hiking, walking, and sometimes running. The Eagle Mountain Park trails are well maintained and are mostly between 5 and 10 feet wide. The trail system in this park is about 5 miles long with six distinct walking trails – the shortest being just over half a mile long. If you’re looking for something to do with the little ones, come check out the Eagle Mountain Trails! Cedar Ridge Preserve – There are several great trails found in Cedar Ridge Preserve in Dallas. There are 9 miles of trails that traverse through the 600-acre preserve. No matter if you’re looking for an easy walk perfect for kids or a more strenuous uphill hike, you’re sure to find a trail for you at Cedar Ridge Preserve. The Cattail Pond Trail and Escarpment Trail are perfect for hikers wanting great views and an uphill hike. However, trails like the Prairie Trail and Little Bluestern offer easy yet enjoyable walks. Cedar Ridge Preserve is also home to an education center, where you can learn about local flora and fauna. Caddo National Grasslands – The grasslands here in East Texas are exemplary of what the Pineywoods region is all about. Here, you’ll find the thickest forests Texas has to offer. The trails within the grasslands will provide the entertainment and challenge that a more seasoned hiker is hungry for, so keep that in mind if planning a nature walk with the kids! Through the thickets of East Texas, these trails roll up and down over the landscape with local flora and fauna waiting to be spotted. Beware the weather, though. Park officials say that recent rain can make the trails muddy and slippery! Elm Lake Loop – Much more suitable for a family nature walk, this 1.7-mile-long trail circles Elm Lake and offers beautiful scenery. It is situated in Brazos Bend State Park which protects its wildlife. Hence, this trail is known for its birding, especially in the summertime. Grab your binoculars, grab the kids, and come out today! Santa Ana National Wildlife Refuge – The refuge is a great place to visit with your family, friends or class. Walk the trails or ask your teacher to participate in the refuge's Environmental Education programs. Learn about bird adaptations, endangered species, wetlands, snakes, lizards and more. Ride the tram or walk through the tree canopy on a rope bridge. All trails are the ideal length for kids – almost every trail is just under a mile long! Las Palomas Wildlife Management Area – The Las Palomas WMA has 3311 acres of land purchased to preserve native brush nesting habitat, some farmland and wetlands for white-winged doves. The Las Palomas WMA is comprised of 18 units in Cameron, Hidalgo, and Presido counties of the Lower Rio Grande Valley. Perhaps the highlight of this area is the Great Texas Coastal Birding Trail. The Valley is known across the globe for its birding, and this trail is THE place to get some birding done! Crystal Cave Trail – Located in Garner State Park, this trail is just over a mile long. The end of the trail leads to the namesake, Crystal Cave, where you can escape the hot sun and cool off with a drink of water. When you and the family finish exploring the cave, you can take the half-mile-long Bridges Trail back to the starting point. Enjoy this 1.5-mile-long trail with your family today! Old Tunnel Nature Trail - The superintendent of the park home to this trail has one main job: to conserve and protect the bat colony. “It’s a concentrated area here and the big mass of bats looks like a tornado,” Brown says. Viewing the bats requires a short but deceptively strenuous 1-mile round-trip walk along the park’s nature trail. Though the bats are the main attraction, take time to linger over the exhibits along the trail to learn more about the history of the railroad in the area. Come out today, and get a glimpse of a wide range of bird species, including cardinals and chickadees and many others that temporarily call the park home during their migration journey! Balmorhea State Park Trail – Perfect for everyone due to its relatively short length (1.1 miles), this trail is ideal for any West Texan. Explore the local desert biology – maybe even find a tortoise, tarantula, or other desert native. When you’re finished walking, feel free to take a splash in the artesian spring pool to cool off! Baldy Peak – Baldy Peak is the highest point in the range, and there is some truth to that position; Baldy is the name of the protruding fin which makes up the summit block of surrounding Mt. Livermore. The highest peaks represent igneous rock intrusions within an ancient volcano (Buckhorn Caldera); many visitors to the area are surprised at the rugged nature of this mountain. This trail is ideal if you have teenagers looking for a 4.5-mile-long challenge!